Marty Allen, the stand-up comedian and funny half of the Allen & Rossi duo, who died Monday in Las Vegas at the age of 95, worked with his first comedy partner, Mitch DeWood, as an opening act for such stars as Sarah Vaughan, Eydie Gormé, and Nat King Cole in the 1950s. When the duo split up, he achieved fame with his partner Steve Rossi as the comedy team of Allen and Rossi. 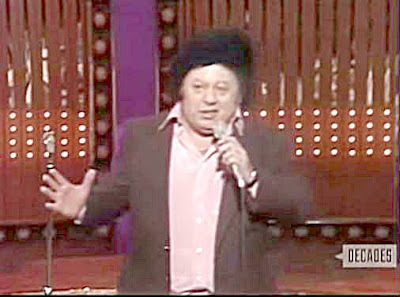 Today we're sharing a rare clip of Marty Allen performing a solo stand-up routine.